At Kenes Group, we are passionate about education. Through our unique online educational platform, together with CME/CPD Accreditation and Industry Compliance services, we’ll help you identify and develop the best content, comply with industry support, and take charge of implementation. With vast market expertise and experience in educational design, entrust your content with the education experts.
" We are grateful to the Kenes Education Team for the service quality of CME accreditation processes for our different workshops – they work precisely and in a timely manner.	" Continuing Education is an important component of healthcare professionals’ practice, crucial for their development. Kenes Group’s Education team focusses on significantly improving the ways of delivering medical education. Membership in the Good CME Practice Group illustrates the Kenes Group’s commitment to high standards and knowledgeable partnership with its clients in the design and delivery of medical education activities. Industry (pharmaceutical and medical device companies) can make a vital contribution to support and enable educational and professional development needs. Kenes Group’s Education team offers services to ensure all support is managed in compliance with relevant accreditation criteria and industry compliance codes. Learn more about our processes here. 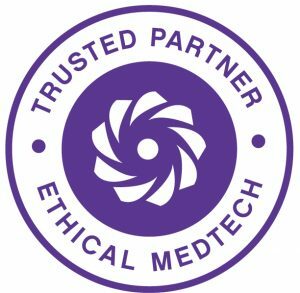 Kenes Group is certified as a MedTech Ethical Charter Trusted Partner. This is one more addition to our compliance services and we now support our clients by offering the advantages to MedTech Europe member companies, medical societies, and conference venues. Engaging and effective education: anytime, anywhere. eLearning Consultancy – By working closely with you to define your society or medical professional goals and needs, we aim to determine necessary strategies and measures using the most effective and engaging technologies. Online Medical Education Portal – Through our combined expertise and resources, we can create educationally strong, and well-attended online learning portals that will contribute towards improved physician competencies and ultimately improved patient care. Content Development – To be effective, each unique learning experience must have purposeful content in place and must be shared using the most appropriate tool or method of delivery. Based on the findings of a thorough needs analysis, our team will develop a high-level outline to ensure all topics are being covered and are organised in the best method to benefit the learner. Collaborating with Key Opinion Leaders, we develop scripts, or storyboards, to bring this outline to life, and to identify what technologies are needed. Blended Learning Strategies – Each client presents different educational or professional development needs. Depending on the nature of the educational objectives and learner preferences, a blend of traditional, face to face learning, harnessed with remote, asynchronous learning may be the most powerful, accessible and cost-effective option. As experts in PCO and eLearning, as well as in blended learning strategies, we can help you to make the right decisions for your needs. See how we do it here. For more information, please contact education@kenes.com.